2018 marked 90 years in business for DAF, which prompted the company to begin its search for the oldest DAF truck still in commercial use. The search was launched with a video on social media earlier this year that features a cattle trader who has been operating his DAF truck across Ireland since the early 1980s. The video has been viewed almost half a million times, attracting an avalanche of contenders for the title. DAF was inundated with reports of vehicles that had been in use since the late 1950s and early 1960s. But not all of these great trucks met the criteria; as mentioned, the winner had to be a truck that is still in regular use for commercial transport on public roads. 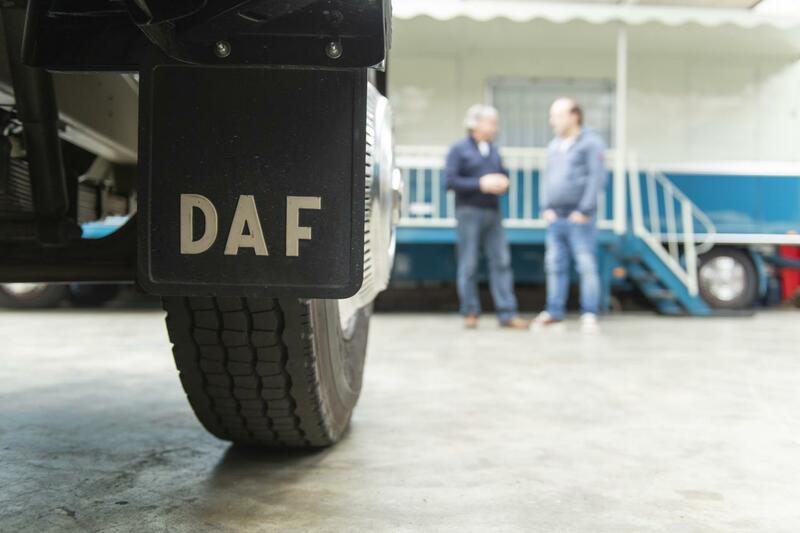 Responses poured in from all over the world, but the oldest truck was found virtually in the back garden of the DAF factory in Eindhoven, in the village of Bakel. The truck in question – an A1600 owned by Frits and Nicky Hoefnagels – who use it to transport a nostalgia-filled fairground attraction all over the Netherlands. The oldest DAF Truck still on the road – Hoefnagels’ A1600 in Bakel, Netherlands. The photo that was submitted to DAF via Facebook by father and son Frits and Nicky Hoefnagels, showcases no fewer than four classic DAF trucks, all in top condition thanks to the constant care and attention they are given. 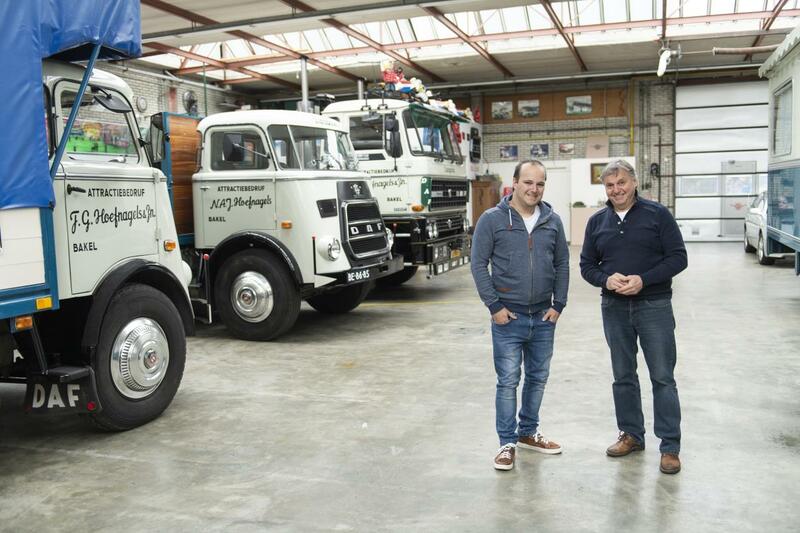 DAF Trucks has made a short documentary about Hoefnagels’ A1600, the oldest DAF truck still in commercial use.